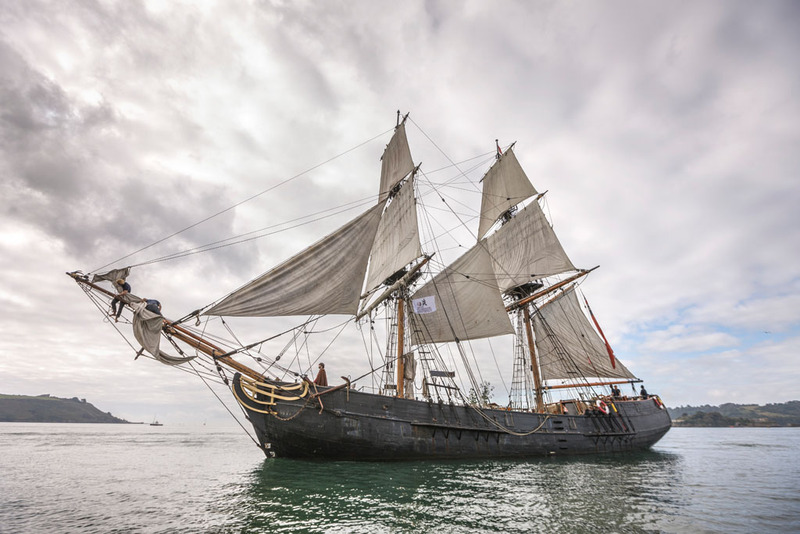 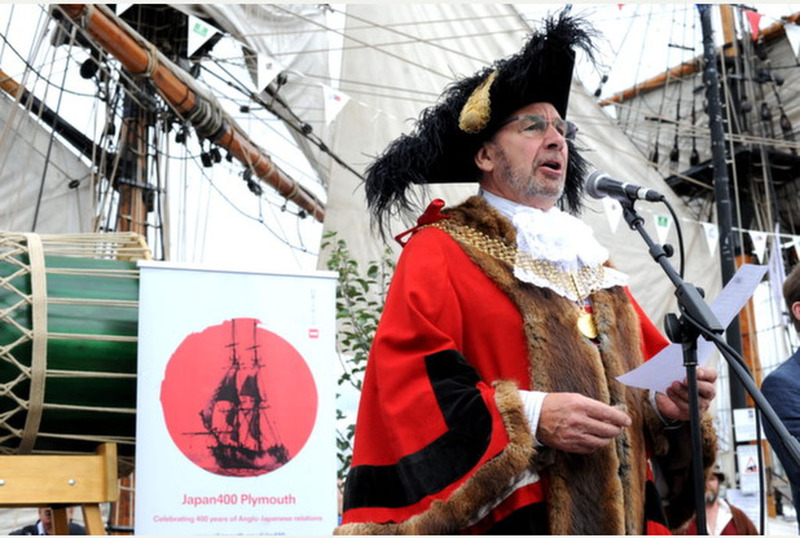 To commemorate the historic return of the East India Company’s ship to Sutton Harbour in Plymouth 400 years ago, an official ceremony was attended by senior dignitaries including ministerial representatives from the UK and Japan on the 27th September. 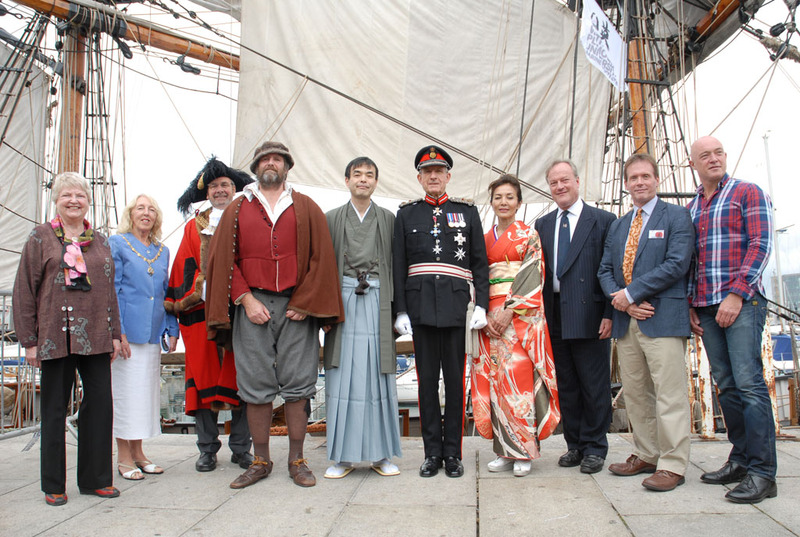 A tall ship came into the port as a climax of the UK-Japan 400-year relations through a series of Japanese events which took in the city for a week. 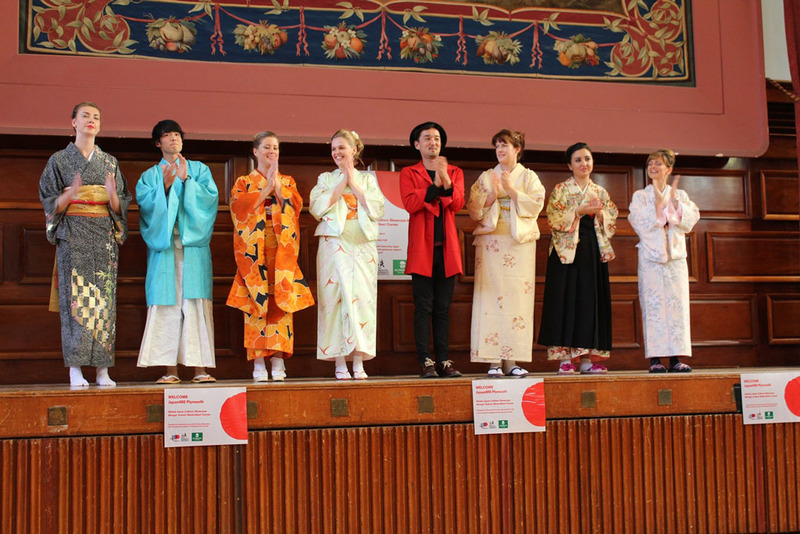 The public was invited both traditional and modern Japanese culture events including MAFF’s sake stand, cooking demonstration by celebrated Michelin starred chef Yoshinori Ishii, kimono show by Koji Fukumoto, and origami and calligraphy classes. 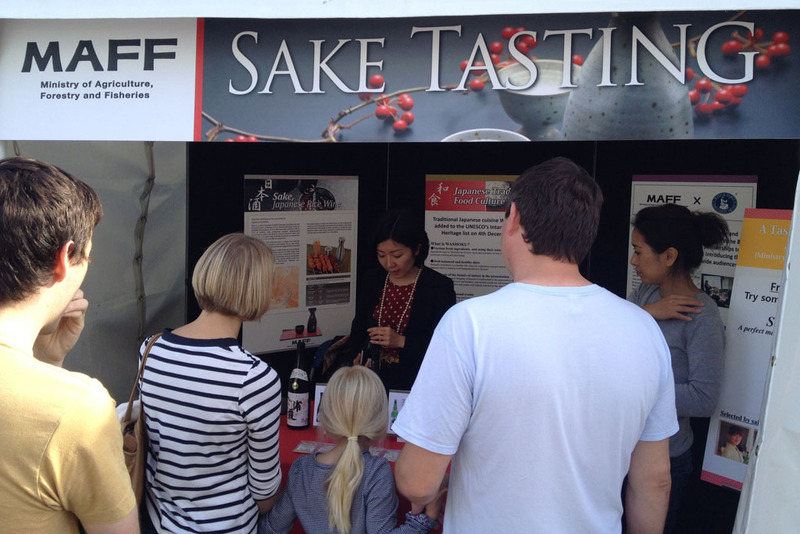 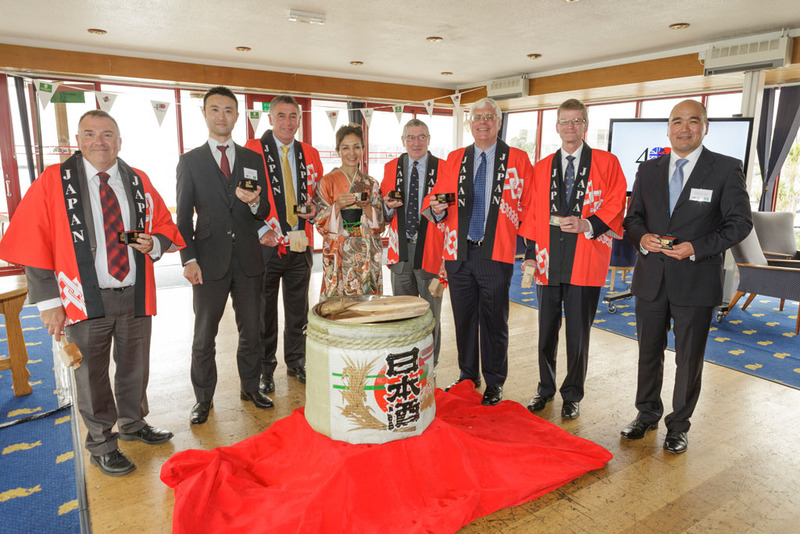 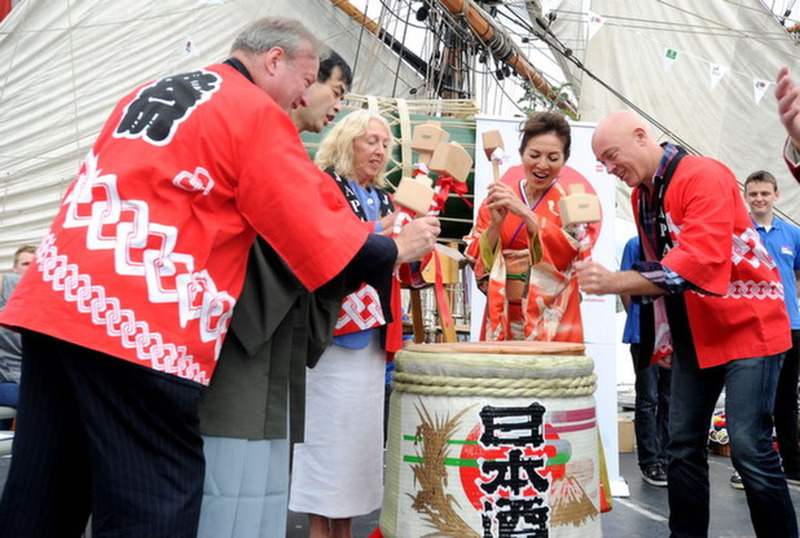 As a celebrating Japanese national drink, sake was showcased at the main opening party both on the ship, on the portside and at ‘Doing business with Japan’ symposium. 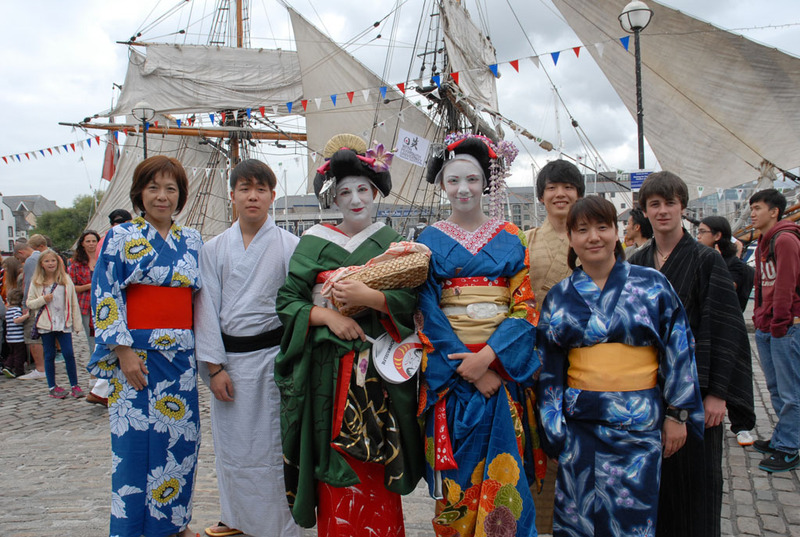 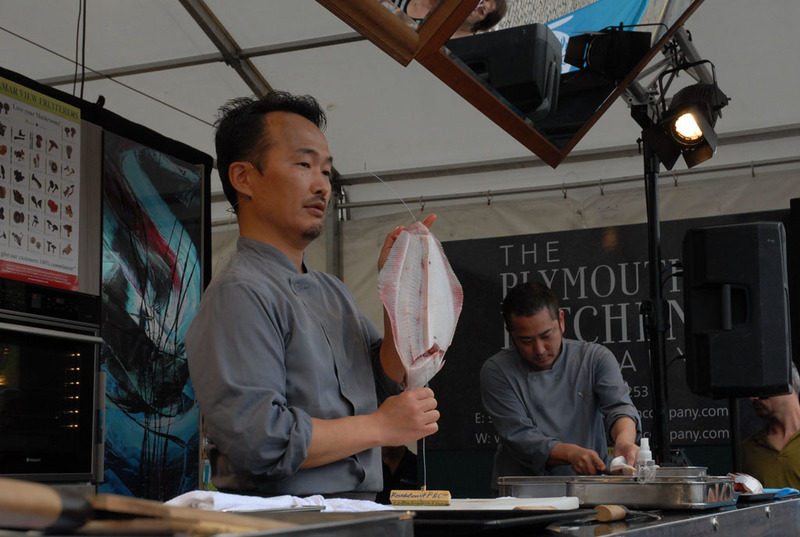 Japan 400 Plymouth was organised by Mr Jonathan Mackintosh from the Plymouth University as a part of the Ocean City Festival alongside the Plymouth Seafood Festival.